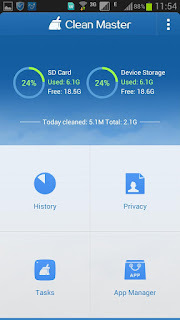 Clean Master (Android) - Excellent Utility for Keep Your Phone Crisp and Clean ~ Android Forever! I guess we're all about cleaning the past couple of days. Cleaning the house and cleaning the phone. Sadly, cleaning the phone burns almost no calories. It is important, though, and not just in Spring time. 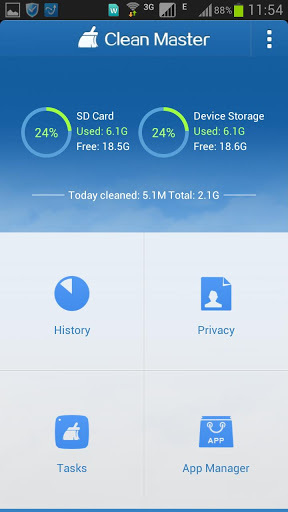 So here's another top-rated and free cleaning app for your Android device. 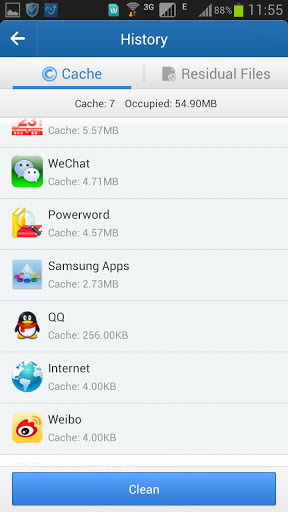 Developer Quote: "Clean Master is an all-in-one cleaner app on android for cleaning app cache , unused files, residual files, search history and uninstalling apps. With this apps user can also Kill running Tasks and releases more RAM to boost your phone performance and save battery life without granting superuser permission." Check out my video to see it in action!